Quarion’s research revealed that skirts were actually a unisex clothing item up until around the first century A.D., when pants were adopted by men primarily because they were more practical for soldiers on horseback. With the invention of the internal combustion engine, the vast majority of people stopped relying on horses for transportation, but still skirts never made a comeback as a unisex garment. Joe thinks that’s because centuries of being associated exclusively with women made skirts harder to adopt by men. But stereotypes weren’t going to stand between Joe and the comfortable feeling of wearing a skirt. 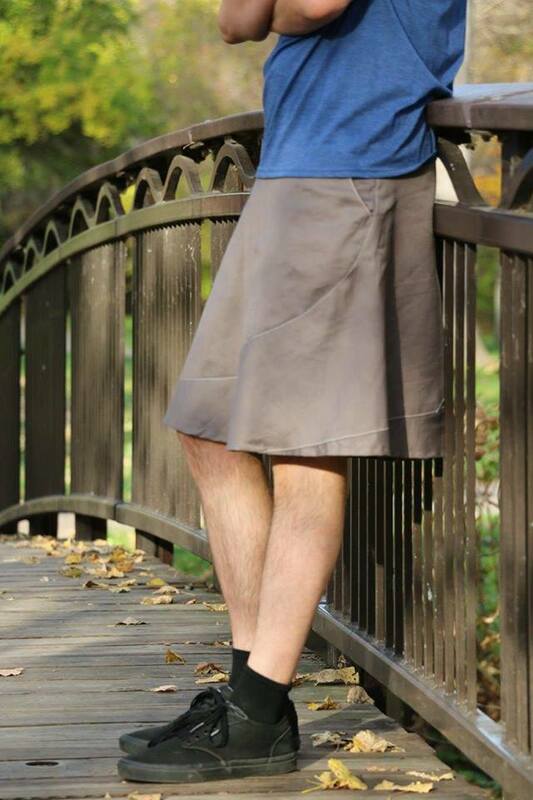 After searching around for unisex skirts and failing to find anything to his liking, the Minnesota man decided to make his own. He had been learning how to sew and had a pretty good idea of what he wanted to achieve. Over 20 prototypes later, he came up with the Unaligned Skirt, a modern yet rugged skirt made of heavy fabric and featuring deep pockets and belt loops. 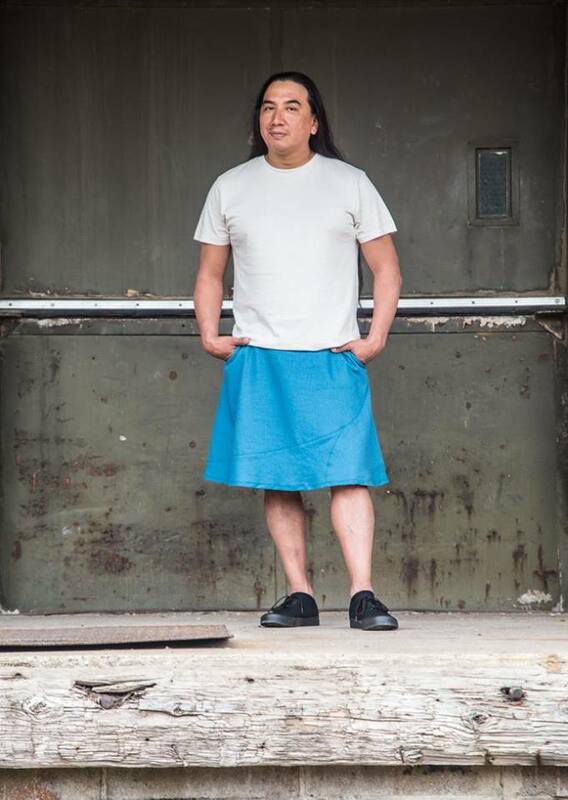 After posting some photos of his unisex skirt online and getting generally positive feedback, Joe Quarion began believing that their might be a niche, albeit small, for his creation. In 2015, he started a crowdfunding campaign on Kickstarter for $11,500, and ended up raising over $16,000. That was the beginning of his company, Skirtcraft. Quarion has so far sold around 450 of his unique skirts, mostly to like-minded men, and he recently concluded another successful Kickstarter campaign for a new style of unisex skirt, the Aqueous. His niche is still very small, but his clientele is very loyal and happy to have a place where they can buy skirts for themselves without getting funny or dirty looks. Joe admits that people sometimes do double takes when they see him walking around in a skirt, but he claims no one has had anything negative to say about it yet. And he’s confident that there’s actually a future for his unisex skirts. “I think fashion-wise and culture-wise, we’re moving toward people not being as constrained,” the skirt designer said.